I was born in Belfast in 1966. All I ever wanted to do was draw: specifically comics. From my primary school days drawing the Bionic Emu to secondary school where I drew nothing but second rate Marvel and John Byrne rip-offs (the Bulk was a good one!) my parents despaired that I would be an out-of-work no-hoper. I persevered, and in the midst of dropping out of a degree in Art and Design in Belfast, I hawked my steadily maturing work around the UK comic conventions and the British comic editors: at 2000 AD, and British Marvel. My first real professional job was on cartoon adaptation the Centurions (many thanks go to Mike Butcher) where some of my beautiful faces were, for some reason, pasted over for publication. They also paid me a pittance. More work soon followed on Action Force (British GI Joe), BLAAAM!, and I eventually got my way into 2000 AD, drawing a few Future Shocks stories. The big break came in 1988, when Garth Ennis (then 18 years old) wrote ‘Troubled Souls’, and a Northern Irish artist was required. It was me or Will Simpson. I got the job, and a productive partnership was born that has lasted more than 10 years so far. With Garth I’ve since done For a Few Troubles More, Judge Dredd, the Demon and ‘Hitman’, to name a few. He also let me get my hands on his Dicks and Chopper. 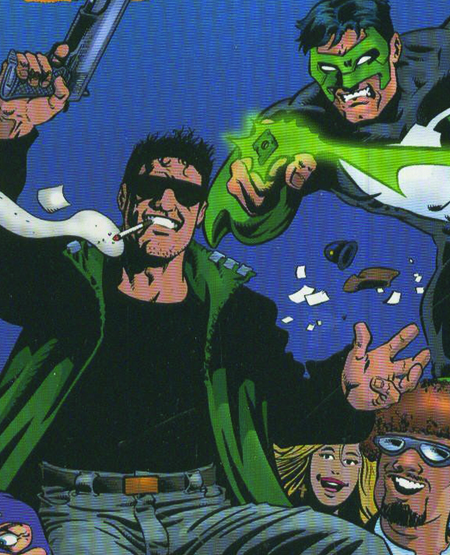 Garth and I have created some fantastic comic characters over the years, but the greatest must be SECTION 8, that misfit band of superheroes from Gotham: Sixpack, Dogwelder (created by Steve Dillon), Bueno Excellente, Shakes, the Defenestrator, Jean de Baton-Baton, Phlegm-gem, and Friendly Fire. I am reliably informed that the action figures of said heroes are not on the way soon. I’ve been fortunate to work with other talented writers including Alan Grant, Doselle Young, Mark Millar, WarrenEllis and Ron Zimmerman. Now working mainly for D.C. Comics and Marvel. I am a lucky man whose job is the thing he loves. I live in Birmingham, England in a house.